Spotlight Education is a special week of primetime news, public affairs and documentary programming on PBS stations Sept. 12-17 (check local listings) focusing on the brightest ideas and toughest challenges facing today’s students and America’s education system. Short-form and full episodes from the week, interactive content modules and a social hub for Spotlight Education will be available on PBS.org and Americangraduate.org. Spotlight Education also kicks-off of a year-long teacher support campaign —“Teach Boldly” — led by PBS and local member stations across the country. Major funding for Spotlight Education is provided by the Corporation for Public Broadcasting (CPB) as part of American Graduate: Let’s Make it Happen, a long-term public media initiative to help all students graduate from high school ready for college and careers. American Graduate: Let’s Make it Happen is public media’s long-term commitment to supporting community-based solutions to help keep youth on the track to a high school diploma and beyond. 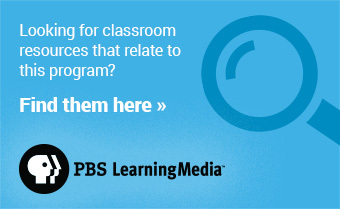 Supported by the Corporation for Public Broadcasting (CPB), more than 128 public radio and television stations have joined forces with more than 1,700 partners and at-risk schools across 48 states and one territory.